Quadratum (Latin for square), was created in response to the need for a pattern that a place to practice basic intarsia. 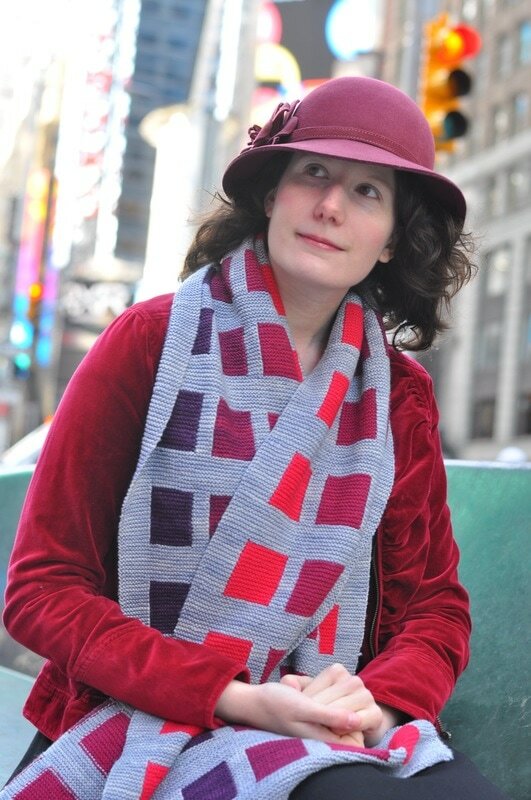 Garter stitch blocks are used to create this comfy, modern-looking scarf. Using a Seed Pack gradient mini-skein set arranged light-to-dark and 2 skeins of Sprout from The Fiber Seed, it’s an easy knit that anyone would be proud to make or wear. The project requires knitting knowledge, including cast on, knit, garter stitch intarsia, and finishing.